We are already half way through the first month of the year 2018. The year 2017 was a mixed one for me with some lows and highs. If you know or my blog you might be knowing that I started a small shop on Instagram to provide some skincare products. The shop didn't do quite well in initial months, but plunged the sales with the introduction of Coffee Green Tea Facial Oil. Blogging took a little bit of back seat in the year 2017 with making more and more skincare with each passing month. Although I did try to keep blogging, sometimes it became difficult to juggle both. 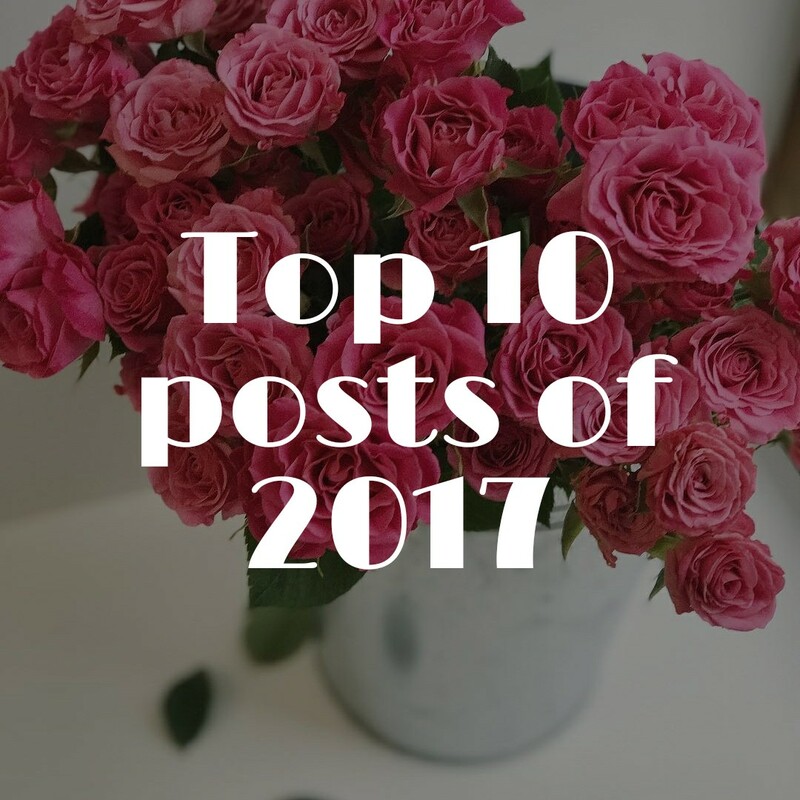 The purpose of writing this post is to list down the posts of the year 2017 whihc garnered more hits and are also showing up in Google Search results. So without wasting more time let's head start to the list. When it comes to skincare, face cleansers have an important role to play. Here I have listed my favourite, tried and tested face washes for oily skin. A very simple and easy scrub for all those who coffee as well as coffee infused skincare products. Ah, an under eye cream which works as a full face cream too. Yes, that's what Mama Earth Under Eye Cream is. With the change in packaging from tub packaging to pump up packaging, it has become travel friendly as well. Do give it a shot to reap the benefits of caffeine for your skin. The highly raved face mask to reduce pigmentation and dullness, easy to sue and easy to wash off. The only fact I don't like is while wshibg off it gives a number feeling to the skin and also it contains Isopropyl Myristate. I like facial kits which we can try at home, instead of splurging in parlour. The facial kit has a good quantity which can last up to 2-3 uses. However the ouche packaging of some products makes it difficult to store the product for next usage. Does VLCC Snigdha Skin Whitening Night cream serve the purpose of a nourishing night cream? I have neutral views about the VLCC Snigdha Skin Whitening Night cream. But when I look into the ingredients (it has parabens) I quite detest the cream then. I would not recommend VLCC Snigdha Skin Whitening Night cream keeping in mind the ingredients, but if you are looking for something budget friendly, you can try it. I like this lip balm and carry with me whenever I travel. The subtle stain which it leaves looks real and not like the Maybelline artificial one. Highly recommended tinted lip balm from VLCC. VLCC brand I hadn't tired unless I received a PR package. I like the scrub particles of this scrub as well as the base of the scrub which is Kaolin clay. It's not a must buy, but if you buy you won't regret it. My all time favourite face mask whihc I have repurchased a lot of time. Moreover now the packaging as well as the formula has changed a bit. The efficiency of the product hasn't changed even a bit and the face pack leaves the skin clean and fresh. A must try for oily acne prone skin.